National Broadband Network (NBN) retail service provider (RSP), Tellnet, has been placed into liquidation owing $330,000 to secured and unsecured creditors. Tellnet registered with the Australian Securities and Investments Commission (ASIC) in August 2013. It offers NBN plans for both business and personal use. For business users, Tellnet also offers a full range of hosted telephony solutions. Paul Vartelas, from BK Taylor & Co, was appointed liquidator on 30 November. He was appointed after a general meeting of the members of the company where it was resolved that the company be wound up. Among the secured creditors is Telcoinabox, a business unit of Australian Securities Exchange-listed Inabox Group (ASX:IAB), claiming $77,500, and the ANZ Bank, to which Tellnet owes $82,700. Among the unsecured creditors are the Australian Taxation Office (ATO) ($56,000) and a related party to the company director claiming $98,500. The company, which is registered in Melbourne, is still trading and has up to five employees, all of which are based in the Philippines. ARN has contacted the company for comment. According to the liquidator, the company is still operating because its most valuable asset at this point is its customers. The liquidator is hoping to find a buyer for the company and for that it is important that it continues trading. Vartelas also told ARN that the company was placed into liquidation due to increased competition from bigger providers who were able to offer lower and more competitive prices than Tellnet. The company’s inability to compete for price led to a drop in its number of customers and it currently has up to 1,200 customers. A meeting of creditors is scheduled for 21 December. At the end of July, NBN Co chief, Bill Morrow, responded to claims that the National Broadband Network (NBN) pricing model could be affecting how retail service providers (RSP) market the NBN. According to Morrow, service providers racing to capture as much retail market share as possible "can create more downside than upside if not carefully managed". "The upside to these price wars has been lower retail prices for end users as the competitive tensions between retail rivals drives down the cost of goods and services." The downside to this, according to Morrow, is that not enough time is spent with consumers to try and understand and match their needs. "Worse yet, it can lead to cutting corners on quality to save on cost," he said at the time. 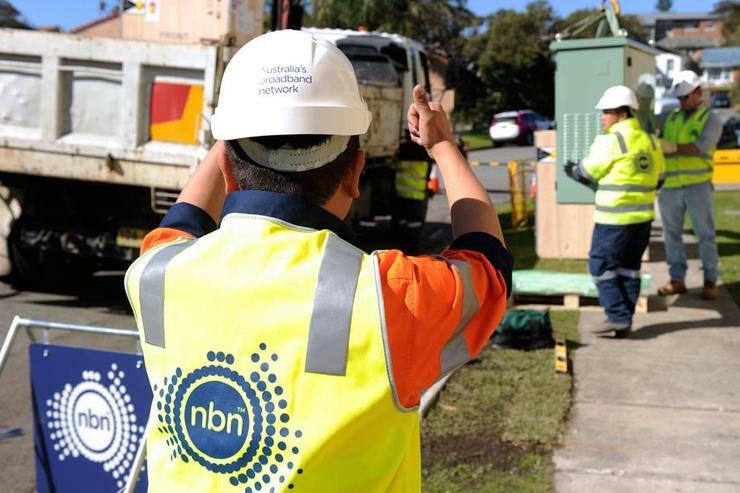 On 14 December, NBN Co revealed a pricing structure overhaul of its top-tier products in a bid to encourage the network’s resellers to provision more bandwidth capacity for customers and drive the uptake of high value services among end users.